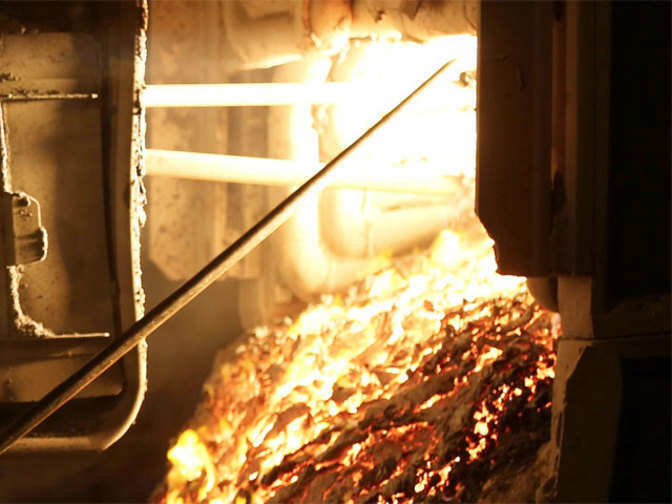 The ferro alloy production as per latest corporate presentation is 0.13 MT and in my view the major part is used for captive consumption. As per the latest annual report the foreign exchange earned by the company during the financial year 2015-16 and 2016-17 is nil and hence we can conclude that the company does not exports any of its finished goods. While the short to mediumterm impact of the US decision will be limited, the tariffs are likely to stay for an “unlimited period,” which, experts say, is more worrying in the long term. 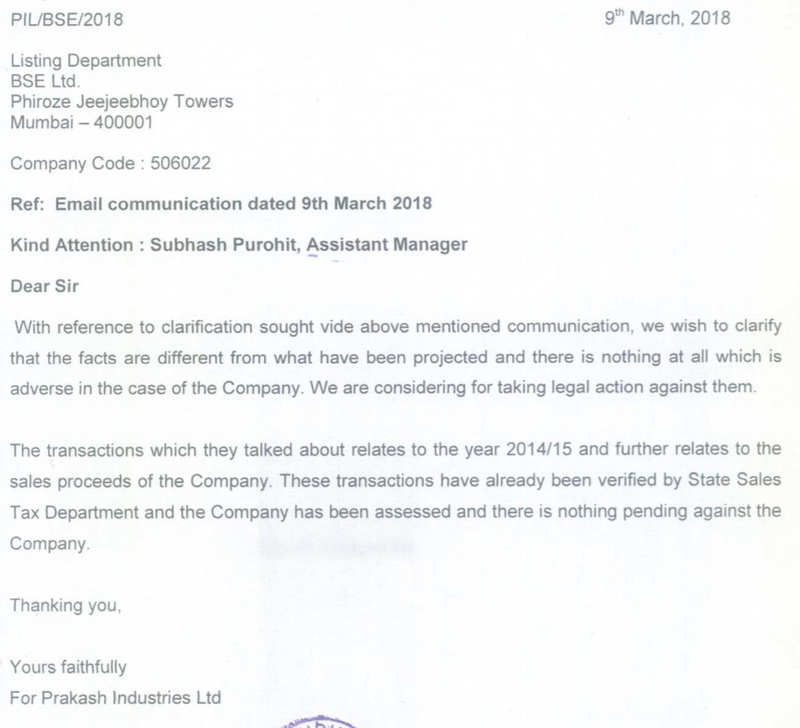 Prakash Industries announced that the NSE and BSE have conveyed their ‘No Objection’ to the draft scheme of arrangement between Prakash Industries and Prakash Pipes for demerger of PVC Pipes Business vide their observation letters dated 12 January 2018 and 15 January 2018, respectively. guys, had the company announced demerger ratio and date? It’s 1 is to 8 ratio. Most likely date is April- unless things has changed recently. What is the cut-off date for this demerger? 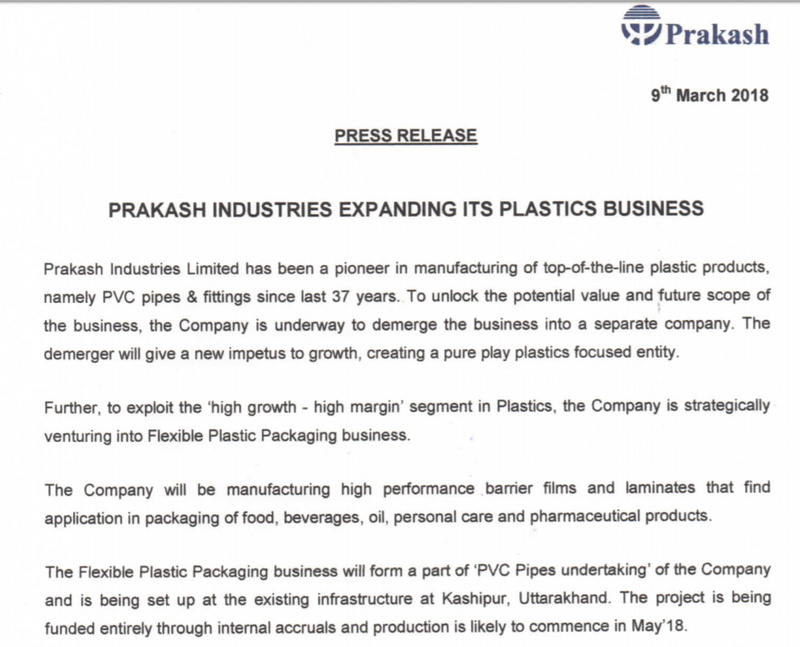 I bought Prakash industries on 1st March, will i be getting shares of Prakash PVC pipes? SEBI has given approval for demerger however cut off date has not yet been anounced, so if you have bought on 01/03/2018 and if you hold it till cut off date then you will be eligible for shares of demerged PVC division. it needs to take NCLT approval which will take another 6 months. If I buy now and hold it till cutoff date, will I get shares of demerged pvs pipes? This has been a consensus steel play across the board in many small and large investor portfolios and a minor price correction can trigger a precipitous sell off further exacerbating the fall. We need to focus on value,business performance and not on price. Prakash ind story seems intact. Demerger of Prakash Pipes gives an added comfort. As per the latest management interview it seems that the company is not inclined to reduce its debt and the debt will be around 750 Cr at the year which is around Rs 200 Cr less then a year ago. In-fact they are now planning to raise some debt to finance their expansion. Analysis : Due to sudden change in market outlook it seems the company is not able get the desired valuation for equity dilution and in my opinion it is in the long term interest of share holders that the equity is not diluted at cheap valuation. Further if the return on additional capital (after considering tax benefit of inerest payment) is greater then the cost of debt then it is always better to raise debt. During growth period funding your expansion with debt is better then equity dilution but one should always remember that DEBT is a double edge sword and if the growth cycles reverses then this debt can take the company even for Bankruptcy ex Essar, Bhushan,Electrosteel, Monet etc etc and the list is very long. 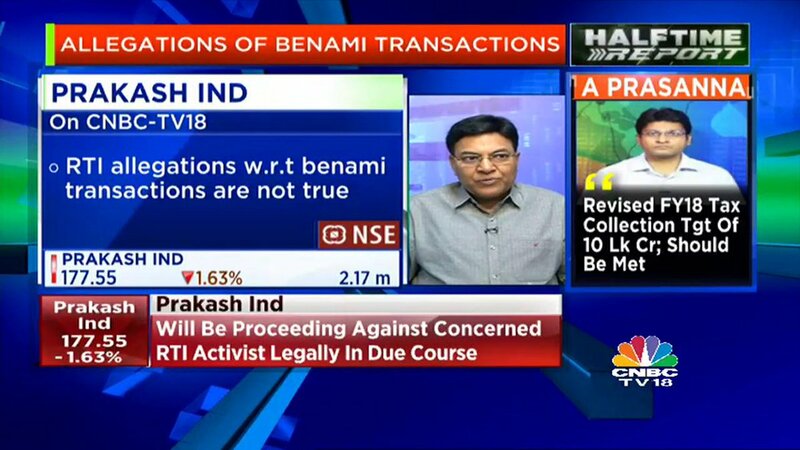 I am personally in in favor of debt funding of Prakash becasue of its comfortable DEBT/EQUITY RATIO which is less then 0.3. Equity + Reserves for Prakash as on 31/03/2018 will be around Rs 2400 Cr and Debt/Equity less then 0.5 is considered very good. So for Prakash the comfortable debt level will be upto Rs 1200 Cr. So even after raising the debt if it is Rs 750 Cr then in my opinion it is not alarming provided the debt is utilised properly. Mgmt in a tv interview last yr said they want to be debt free by 2020. Shifting goal posrs all the time. These are corrupt and morally bankrupt promoters. Have been tracking them from last 4 years. Very poor and chequered history. Issues regarding black money, bribes, scams, corporate governance surfacing every now and then. Sector tailwinds are there, which led this to 250+ levels. Though, not an investment grade company in my opinion. Ok, let’s agree to the fact that Management is not good, but if business continues to do well for let’s say at-least another year or so, at 25% ebidta on 3000 odd crore sale ( going by mgmt guidance, IF steel cycle continues) we are looking at (2700+7500) : 3400 / 750 or EV/EBIDTA multiple of ~4 by Mar’19. Isn’t this cheap or worth the risk taking? 1.How strong is the steel cycle this time around, how does these cycle play out?? Mgmt seemed confident on business new channel but would be great to know across the board. How can we ensure that minority share holder will not be passed over by “questionable” management? I have not taken into account the plastic division - whose demerger management has again pushed back by 6 months. That itself could again provide more impetus to company. Not sure about the rights issue, if that goes thru than it will provide a good support of stock at 208 rs. Seniors please advice and share your perspective. Disc : Invested from higher level. Could you please send the management interview link? Even in this morning’s interview with CNBC-TV18 management said about reducing debt to 500cr next year and debt free by year after. This is confusing. How Prakash industries sell it’s products?through dealer network,direct to retailer or as per order.which states it caters to?